The plugs in the 84 Nova trays measure 1 1/8 inch in diameter by 2 1/8 inches deep and taper like a cone with a bottom drain opening. The interior ridged design of the plug directs root growth downward & avoids the wrap around growth allowed by smooth sided plugs. As the roots develop & escape through the drain opening of the plug, the atmosphere will burn off the protruding root material, in effect pruning them to encourage constant development of fresh root growth. 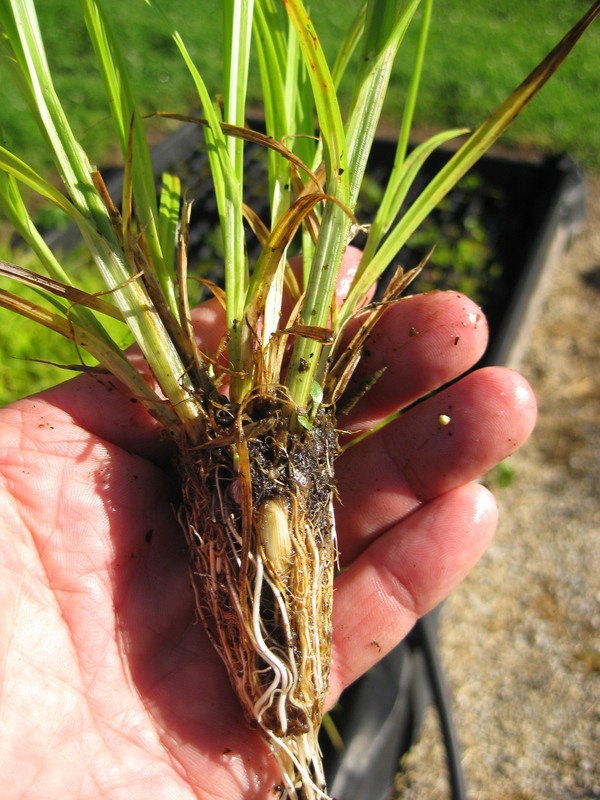 When the plugs are placed into the ground, the roots are ready to rapidly establish themselves down into the soil. It has been our experience with planting both 3” square pots & the 84 Nova plugs that the plugs will compete with & sometimes surpass the growth of the larger potted plants in the first growing season. Some species planted as plugs will flower & set seed in the first year-we had Sawtooth sunflowers that were planted in June reach nearly 8’ & flower in the same season. The size of these 84 Nova plugs makes them easy to handle in planting & transporting.